Uglyworld #786 - Cash Injection Required (266-365), originally uploaded by www.bazpics.com. This evening after work I opened my wallet to give Turtle some cash so that he could head out for his dinner this evening, and discovered it was completely empty other than a single dollar bill. 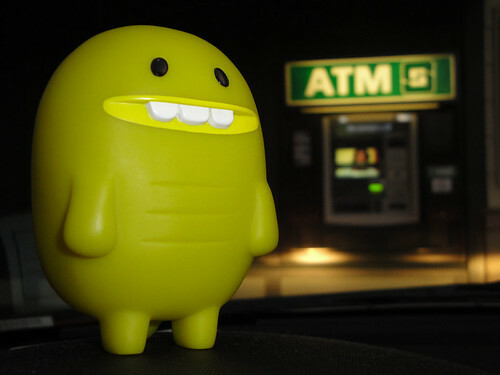 Turtle was over the moon when I jumped into the car with him and headed to one of the local ATM's to top up my wallet with another injection of cash.